The first presidential debate promises to be the most watched debate in the history of the country. The gap in this country between the powerful and the powerless is growing faster than we have seen in 100 years, and faster than we can sustain much longer. The country is out of balance and unstable. Too few elites hold too much power, and they are using it to amass even more. Voters must know how the candidates feel about our most fundamental values before they can decide who should lead the country. Do the candidates actually believe in the essential equality of each and every citizen? How exactly do they plan to address the gross imbalance of power that has cracked our foundation and threatens to rip our society apart? How will they match the idea of equality with the realities of American politics? Who has power and who doesn’t? Ultimately the future of our country and the well-being of our citizens rests almost entirely in the answer to those basic questions. It is up to Lester Holt to not just ask the questions, but to demand the candidates answer them. 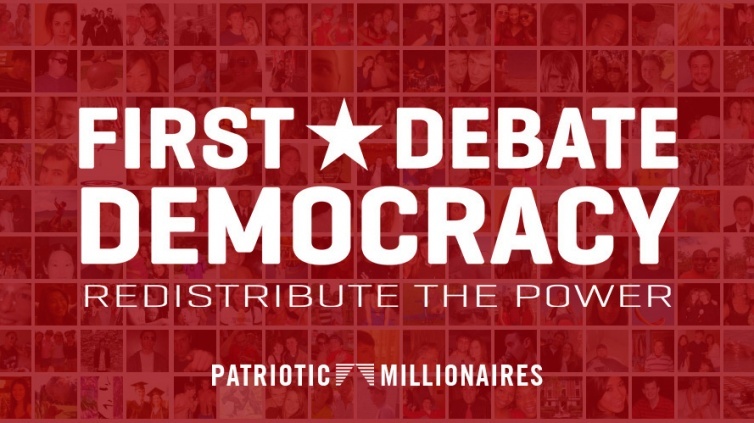 Will you co-sign the letter with the Patriotic Millionaires?